Tomorrow marks the 39th annual International IV Nurses Day, created in 1980 by the Infusion Nurses Society to acknowledge the special skills that IV nurses bring to a medical team. Over time, infusion therapy has become much more common, shifting from a measure used only for extremely ill patients to a treatment method for more than 90 percent of hospitalized patients. 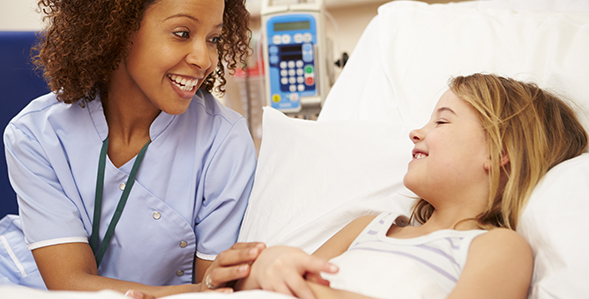 Most hospital staff nurses regularly assist with infusion therapy and certified registered nurses of infusion (CNRI®s) can offer additional expertise and experience. Since most patients who are admitted to a hospital get IV access at some point during their stay, proper placement and care are vital for patient comfort. Additionally, many patients in the hospital receive antibiotic treatment intravenously, and because nurses are on the front lines of patient care, they have an important role to play in antibiotic stewardship. Historically, nurses have been excluded from guidelines for developing and implementing antibiotic stewardship programs (ASPs), however, recently there has been more dialog on the subject, and guidelines have evolved to include nurses as part of the ASP team. As the program progressed, nurses began to have discussions more frequently with prescribers about the necessity of antibiotics, acid suppressants, and invasive catheters. Some of those discussions resulted in agreement between the nurse and prescriber, and appropriate therapeutic modifications or discontinuations were made.